Caption: Children and staff from Annie’s Nursery with Frances Cornelius (standing left) and Judy Hiscoke, Variety volunteer, (standing right). 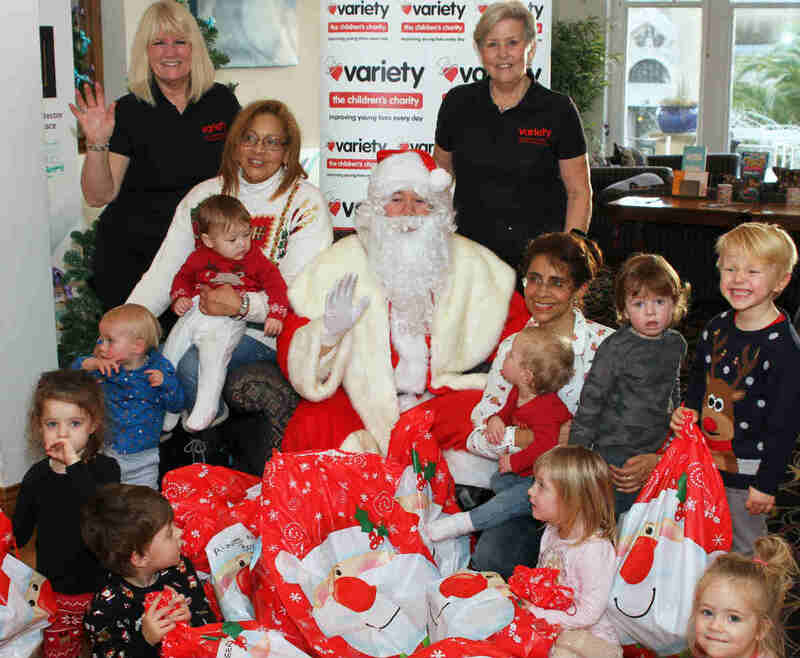 More than 100 children enjoyed a Christmas party with gifts at the Marsham Court Hotel in Bournemouth, thanks to Variety The Children’s Charity. Aged from five to 12, the children from Bournemouth-based Linwood and Bethany schools and Annie’s Nursery enjoyed tea followed by entertainment from Krazy Kev before meeting Father Christmas and receiving presents. The gifts were specially chosen for each child with age, gender and any health issues taken into consideration. The Foresters charity donated £2,000 for the presents and spent a morning packing them into festive sacks ready for the party. She also thanked Marsham Court, Krazy Kev, Father Christmas, and the team at Beales who chose the presents.